The most prominent African-American family in the West End during the early 20th century was undoubtedly the Fitzgerald family. If you've never read the book "Proud Shoes" by Pauli Murray, I highly recommend it; the book is a fascinating story of the Fitzgerald family, West End, and, more broadly, issues of race and Durham during the early 20th century. 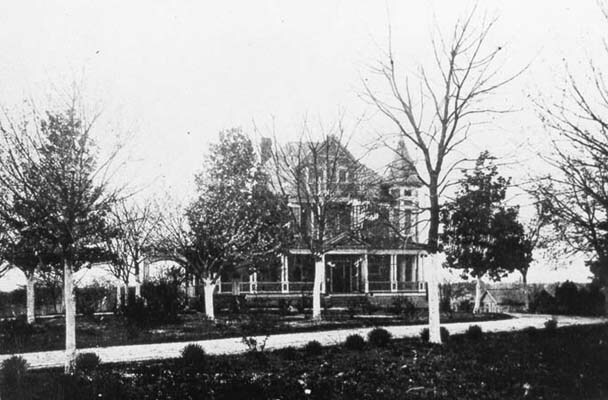 The Fitzgerald family moved to Durham from Philadelphia (via Hillsborough) in the 1880s. Richard Fitzgerald established a brickyard near the current intersection of Jackson St. and Kent St. Within several years, he was the leading brickmaker in Durham and had expanded his business in real estate and banking. 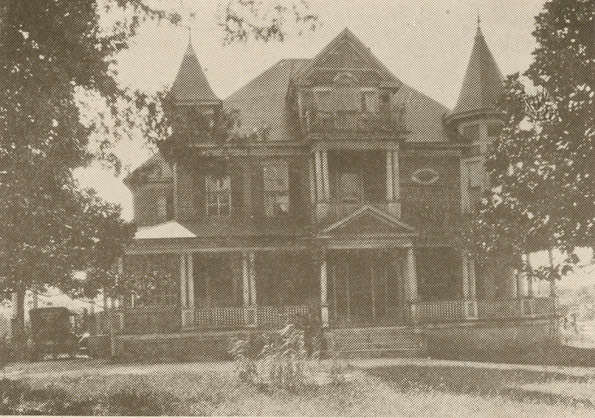 In 1890 he built a large home for his family at the west end of Wilkerson and the north end of Gattis Sts., which he called 'The Maples'. Looking west from Gattis St.
Other members of the Fitzgerald family soon moved to Durham as well, and built houses along Chapel Hill Road (the current Kent St.) which became the location of many of the homes of the well-off African-American families living on the west side of town. These houses are no longer standing. The Fitzgerald family had a hand in most of what came to define West End - including their brickyard along Kent St., the office building they constructed at the corner of Chapel Hill St. and Kent St. (still standing), and the land they donated for St. Emmanuel AME church (still standing). By 1937, 'The Maples' had burned down. 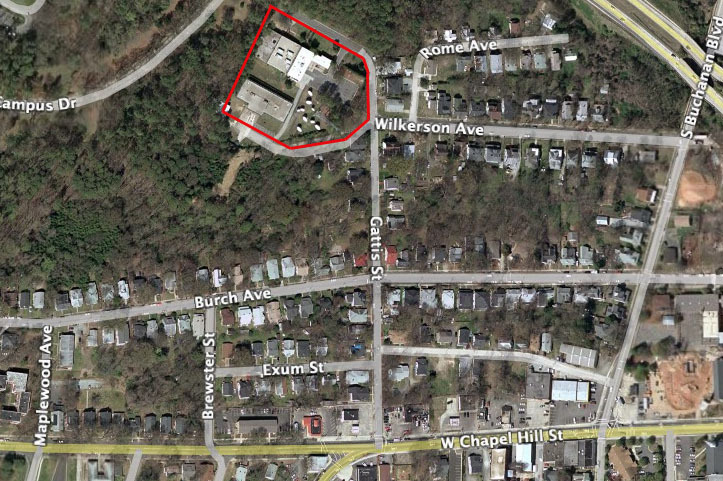 In the 1960s or 1970s, Duke University built a hospital laundry facility on this land, which overlooks the low ground of Campus Drive. I believe the laundry facility is no longer in use. Looking west from Gattis and Wilkerson. The site of 'The Maples' and the laundry facility.